By publication in the required newspapers of the date, time and location of this meeting more than 48 hours in advance. By posting advance written notice on the official Bulletin Board in the Municipal Building. By filing advance written notice with the Township Clerk for the purpose of Public inspection. ANNOUNCEMENT: At this time we ask everyone to please turn all cell phones or pages to either OFF or VIBRATE. Explained the 2010-11 School budget year and surplus amounts; Gov. Christie made cuts to school budgets, school budget was voted down by residents, Township spent $500,000 to install sidewalks on school property on the schools behalf. 2011 facility rentals generated $30,018. Overall savings to the board of education of over $900,000 as a result of Township actions. M. Lisella: Update on appeal process. Congratulations to Officers. J. Melchiondo: As liaison to police dept it makes me extremely proud to recognize officers Keilitz and DiBlasi. Chamber of Commerce has met and set dates for upcoming events. EDC met and set goal to erect Welcome to Barnegat signs. L. Morano: Thank you to officers. We should accept credit cards and pass the 2-3% charge on to residents who use credit cards. Mayor explained the process and passage of fees to residents. A. Bille: Attended dinner for installation of Volunteer Fire Department members, some for over 40 years of service. EXPLANATION: This Funding Ordinance was originally adopted in 2011, and as a result of a publication oversight, this ordinance must be adopted for the record again in 2012. Frank Pecci – 11 Hemlock Dr: Look at costs for Master Plan fees. Frank Pecci – 11 Hemlock Drive: What are considered related expenses? Admin responds that they are professional expenses. Phil Checcia – 12 Windward Drive: Phil: what does a partial payment mean when you pay that to the school board? Admin: on the Edmunds system a partial payment reflects a partial payment of the tax levy to the school board. He proceeds to read OPMA statute and questions committee about Press conference held in January. Questioned legality of Food Bank donation made on behalf of The Van Dyk group. David Moore – Rose Hill Road: here on behalf of the Open Space Committee and appraisal of the Barnegat Blvd Barnegat Glen property. Allocation of Open Space funds: plan on 50% of tax revenue designated to obtain open space. Vinnie Lorenzo – Heritage Point: Resolution 112-115 do we really need these items? Frank Pecci – 11 Hemlock Dr: questioning budget amounts. Where is the money coming from for work done at the COAH property Route 9? Affordable Housing Trust Fund, get fund balance. Residents are going to be obligated for $2 million because the School Board had to take out note to make payments. Committeeman A. Bille: responds to Vinnie Lorenzo’ concerns, 30 of 33 townships raised their (municipal) taxes as high as 23% last year, average of 5%, Barnegat along with only two other towns lowered the municipal taxes in 2011 to the taxpayer. 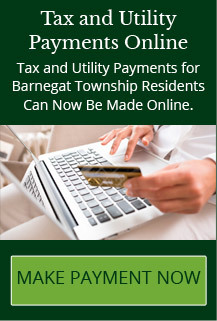 Barnegat showed a 3% decrease. V. Lorenzo: assessments go down, tax rate goes up? Pat Groda: something wrong with assessment process. Mayor Cirulli: responded that we are trying to fix the problem with the system. Howard Effron – 163 Gunning River Road: Affordable Housing fund: looking for balance sheet, wanted deposits and withdrawals of fund? A $1 million fund is now down to $75,000? Walters will then own the property once the housing is built? Admin: Fund is not taxpayer money it is the Township’s obligation to provide from the Affordable Housing trust Fund. Jake Taylor – 106 Newark Road: Congratulations to Mayor. I have offered my services to serve on zoning board. Affordable Housing costs the Township a lot of money. Building 90+ units when only 54 are required. Zoning board approved giveaways to the developer that are costing the Township money. No taxes are paid by developer on any empty unit. Children in these units will cause educational and recreational strain on Township. Township should not pay for building to be demolished; these giveaways are a win-win situation for the developer. Wants review of agreement for only the required 54 units to leave room for recreation at the site. Mayor will look into agreement. Are we still eligible for the money from Mirage? Mayor: yes we are still having discussions. Strongly object to what happened with the Open Space trust fund. Lisa Becker – 741 W. Bay Ave: President of BOE. Audit was done publicly in October, stating that $1.4 million was going back into this year’s budget to property tax relief. Committee’s press release reiterated what the BOE had already done, making it sound like they were doing something that wasn’t above board. Outstanding relationship with our auditor, helped with corrective actions. 2008 budget had no reserves, shoddy school construction needed improvements. Bussing was provided for students because sidewalks were not installed at residences when they were built, not the districts requirement for sidewalks. State aid was under fire with the new Governor. BOE budgeted for bussing because sidewalk construction was not certain at that time. This budget year began with $900,000 in reserve account, this is federal money can not go back to taxpayers; it did not come from them. Governor cut extremely on state aid, court ordered they must meet the funding form, which was given after budget was approved, and that money is set aside for property tax relief. The comments made by the committee were politically motivated to make the BOE look bad. BOE did everything above board. The average tax payer does not understand the entire budget, bond, and financing process. They can not be told these political leading statements. Board took offense how this press release came about. Board and committee will agree to move forward from this point to work together. We need the school board and the township as a whole to draw the residents to our community. Marianne Clemente – 565 E. Bay Ave: Please take to heart the comments Mrs. Becker said. Sidewalks should have been done prior to the issue of courtesy bussing. Trash contract should have included schools in the shared services agreement. School budget percentage of tax bill has dropped 8% with this board. How could you cut members from Open Space and Planning Boards? Maria Capriotti – 46 Nautilus Drive: resigned from zoning board due to lack of advancement within board. Consider school board and township have meetings together. John Vanderbas – 7 Edgewater Path: read letter addressed to Mayor, committee and Zoning board secretary. To build a good community we should include not exclude members of the entire community, not just retired residents. Board by statute sets the meeting dates. This member has resigned from zoning board. Resolution the Chief to endorse a contract agreement with AAT Communications for technical support for DI Voice Vault DVD2SAS16RM!